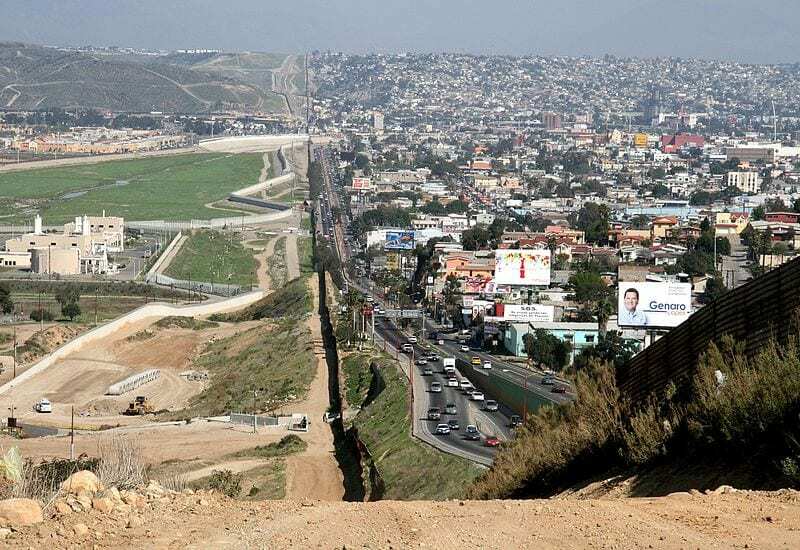 The Trump administration has reportedly reached a new contract with the Israeli defense electronics company Elbit Systems to implement advanced security systems on the U.S. border with Mexico, similar to the security technology utilized along Israel’s borders. According to reports that emerged last weekend in Hebrew- and English-language Israeli media, an American delegation recently visited Israel to tour the country’s borders with the Gaza Strip and Egypt. Delegation members were pitched on a “smart border” security concept to be implemented along the U.S.-Mexico border. The plan reportedly involves the construction of observation towers and the implementation of cutting-edge technology—including highly advanced sensors as well as monitoring and communications systems—to combat illegal border infiltration from above and below ground. During his 2016 election campaign, President Donald Trump lauded Israel’s border security expertise when commenting on his proposed wall on the U.S.-Mexico border. “You could ask Israel about walls that work. Believe me, walls work,” Trump told a rally in Atlanta in February 2016. After news reports on the border security contract surfaced, the Israeli company downplayed its role. The 3,360-mile-long border between the U.S. and Mexico crosses varying types of terrain—including, deserts, mountains and plains—and sees some 200,000 people cross illegally into America each year. Further, Mexican drug cartels net an estimated $19-$29 billion a year on narcotics smuggled into the U.S., often through dozens of underground tunnels beneath the border. The cartel tunnels running beneath the U.S.-Mexico border are similar to tunnels dug by the Gaza-ruling Palestinian terror group Hamas under the border with Israel. Hamas’s tunnels are used to smuggle weapons into Gaza and to launch attacks inside the Jewish state. 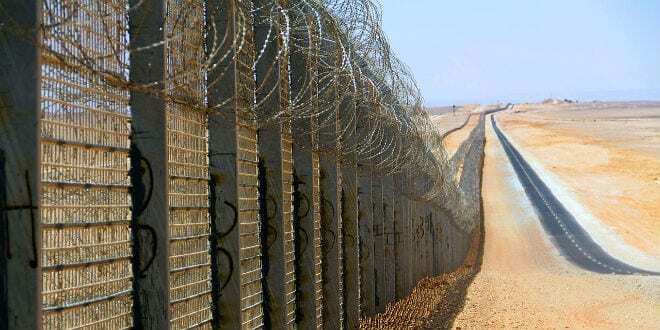 The Israeli security fence along the border with the disputed territories has prevented many Palestinian terror attacks inside Israel, while a fence constructed along the Israeli-Egyptian border in the Sinai desert has helped reduce the number of African migrants illegally entering the Jewish state. Israel has also started the construction of a $77 million fence along its border with Jordan. “President Trump is right, I built a wall along Israel’s southern border. It stopped all illegal immigration. Great success. Great idea,” Israeli Prime Minister Benjamin Netanyahu tweeted in January 2016, drawing ire from Mexico’s foreign ministry. Under the purported new contract, Elbit’s U.S. branch would implement its Integrated Fixed Tower (IFT) border security system along several-hundred miles of Arizona’s border with Mexico, and the system would gradually expand to other areas of the U.S.-Mexico border. Elbit Systems of America would also provide U.S. authorities with sophisticated surveillance equipment, including advanced radars and cameras fitted to sensor towers situated along the border. The systems would provide border patrol agents with 24/7 surveillance capabilities and a cohesive view of the security scenario. 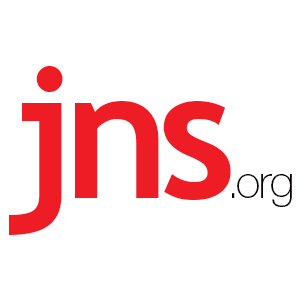 According to a July 24 statement released by Elbit Systems of America, the first stages of the IFT system have already been constructed along the U.S.-Mexico border. The system was reportedly approved by U.S. Customs and Border Protection (CBP) in July and implemented in Douglas, Ariz., marking Elbit’s “second successful deployment of the system, with the first occurring in the Nogales, Arizona,” according to the Israeli company. “We achieved this important milestone by working closely with CBP and understanding their agents’ needs,” stated Raanan Horowitz, CEO and president of Elbit Systems of America. “Border Patrol agents rely on our homeland security solutions to provide situational awareness and enhanced safety,” he added.